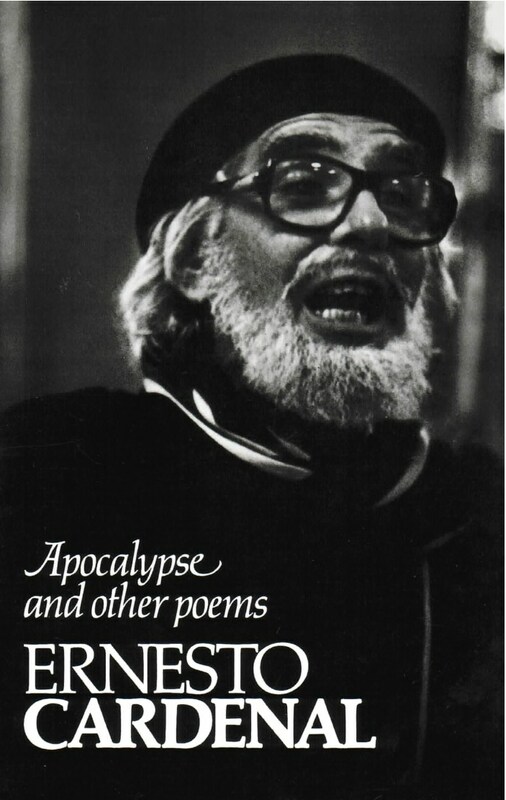 Apocalypse and Other Poems by Nicaragua’s revolutionist poet-priest, Ernesto Cardenal, is the author’s second book, the first of poetry, to be published by New Directions. The editors of this volume, Robert Pring-Mill and Donald D. Walsh, have chosen a representative selection of Cardenal’s shorter protest poems, epigrams, religious, and Amerindian verse. Also included are two of Cardenal’s most impressive longer works: the haunting and melodic elegy, “Coplas on the Death of Merton,” and the title poem, “Apocalypse,” in which the theme of an ever-threatening nuclear holocaust is the core of a modern rendering of the Book of Revelations. At Our Lady of Solentiname, his religious community on an island in Lake Nicaragua, living and working in the manner of the early Christians, Father Cardenal embodies what he professes: “Now in Latin America, to practice religion is to make revolution.” An informative introduction has been contributed by Robert Pring-Mill of Oxford University. The translations are by Thomas Merton, Robert Pring-Mill, Kenneth Rexroth and Mireya Jaimes-Freyre, and Donald D. Walsh, who also translated In Cuba, Cardenal’s assessment of Fidel Castro’s revolutionary society, published by New Directions in 1974.